Internet Explorer still enjoys the biggest chunk of the browser market, 60.74% according to the latest data from Net Applications, and the world will soon see Internet Explorer 9 at an event in San Francisco on September 15. It debuted in 1995 on August 16 and was based on Mosaic, a web browser Microsoft had licensed from a company called Spyglass Inc. Soon with the introduction of IE 3.0, MS started building Internet Explorer with Windows and its popularity soon knocked out Netscape Navigator out of the market. This, however, does not mean that there were no bumps on the road during its on going journey. 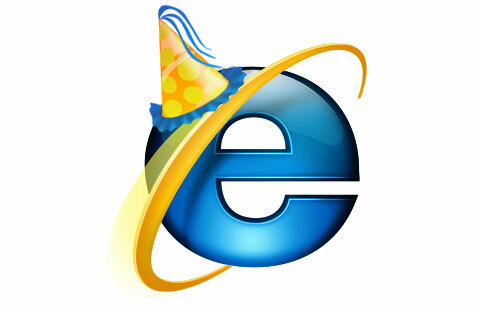 Internet Explorer 6 holds the record of being the most hated and criticised version of the world’s most popular browser owing to multiple security issues. Its popularity was challenged massively when FireFox arrived in 2004 and IE saw a lot of conversions to the new open source browser as it offered all the solutions to IE’s problems. MS responded with the next version of IE bringing changes and improvements but the damage was done and the market had divided. The trend followed with new players entering the market left, right and centre and though IE still holds the number 1 position in the browser market, there are several other options available for consumers. It’ll be interesting to see what Microsoft has in store for the IE 9 in September as it will have to come up with some major upgrades, additions and exclusive features to keep the current market share at least. A lot more needs to be done to increase it and bring the converts back.